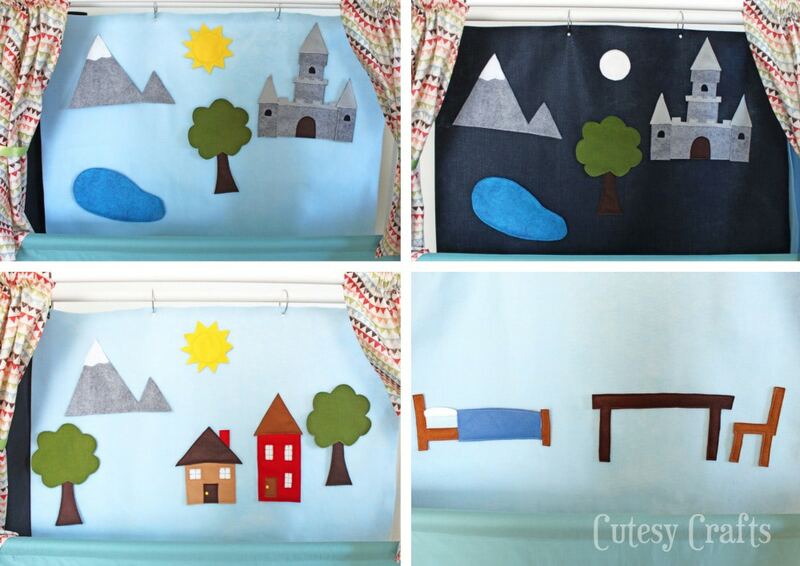 I’ve finally finished the scenery and puppet patterns for the PVC Puppet Theater! You can get the free scenery patterns here. I recommend using a higher quality felt for these since they will be handled a lot. You can read more about different kinds of felt here. Each item of scenery is at least two layers thick. Stitch the smaller details to the front piece, sew pieces of the scratchy side of velcro to the back, and then sew the front and back together. I just realized that I made the house windows separate pieces of the patterns, but mine are cutouts to the back layer (like a reverse applique). You can do them either way. I also included an extra house pattern. I wanted to make a yellow one for future “Three Little Pigs” play, but I ran out of yellow felt. Enjoy! 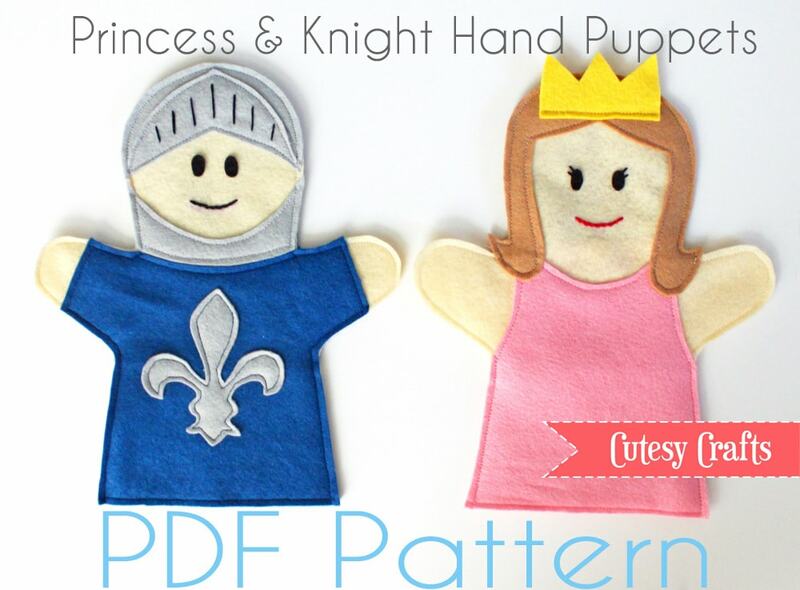 You can get the princess and knight hand puppet patterns in my Etsy Shop. Aren’t they cute?! We’ve been having lots of fun around here! Thanks Brandy! I had a lot of fun creating them! This is the best! My son would love this. Ok let’s be honest, I would love this for myself. ha ha! Love this! 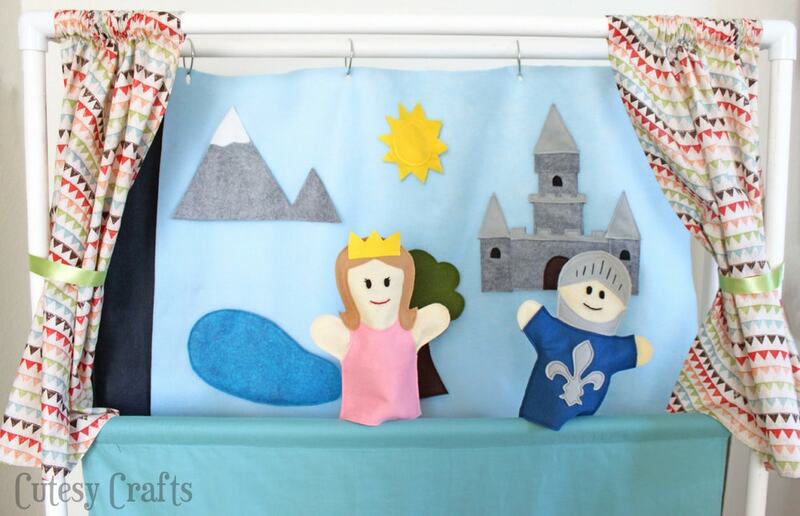 We made a felt backdrop but our Velcro isn’t sticking. Any tips? Does the velcro have a right side up? Velcro is sold in two strips that stick to each other. There’s a scratchy strip and a soft strip. You want to use the scratchy strip for it to stick to the felt. Hope that helps! Printing out the patterns now, what do I do next? 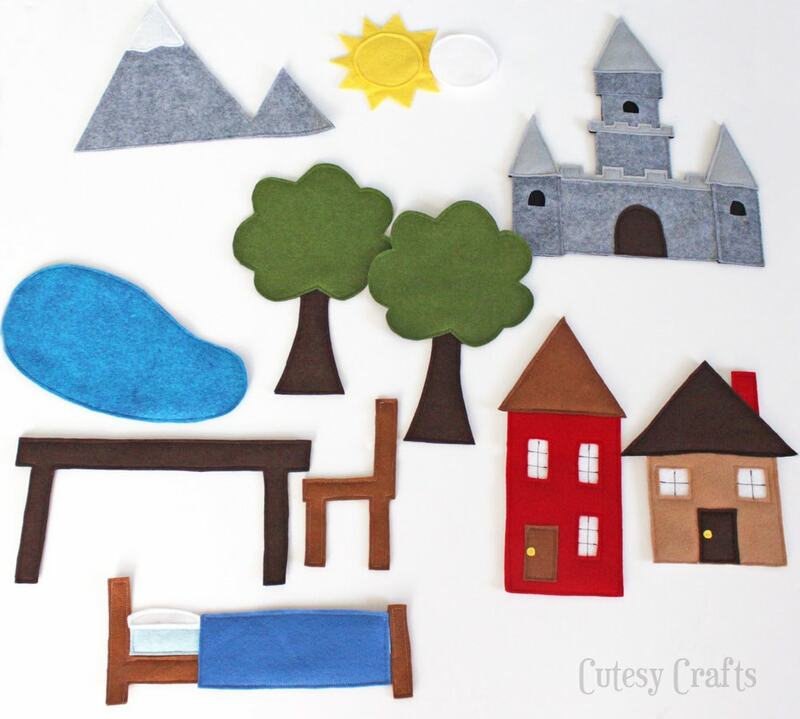 Cut the pieces out by tracing them on the felt? SOS- first time crafter alert! I prefer to cut the patterns out, pin or tape them to the felt, and then cut them out. Marking on felt can be difficult. Good luck!